We’re here to recruit you for adventure. We’re looking for men who can withstand pressure, men who are willing to go deep, men who are unafraid of adventure. We also need men who will look good doing so, and we think you have what it takes. And, one thing’s for certain...when submerged in adventure you need the right gear. 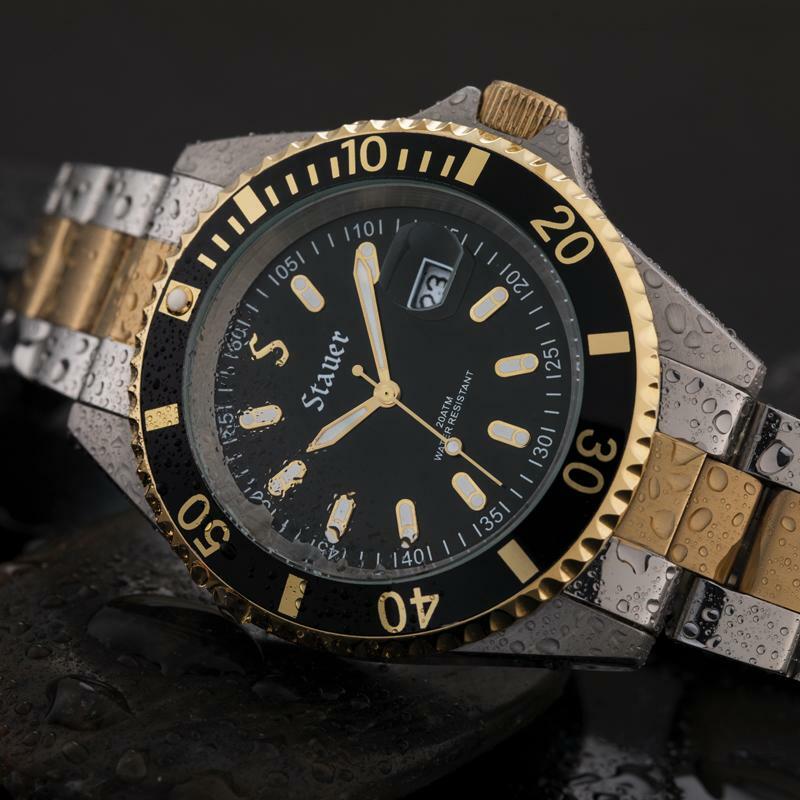 The Stauer Adventurer Dive Watch is a men’s diving watch crafted of solid stainless steel that’s resistant to 20 ATM. For the uninitiated, that means it is water resistant to the pressure of 20 atmospheres, which translates to an underwater depth of 660 feet. 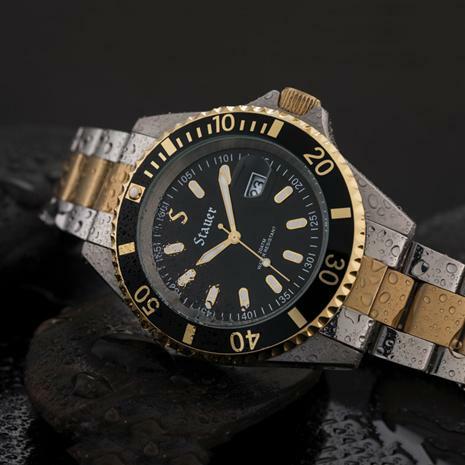 This stainless steel timepiece features a handsome date window at 3 o’clock, and the telltale sign of a true water-resistant watch: a screw-down crown, which tightens to seal out moisture. No one ever said taking on adventures would be easy. But it shouldn’t be expensive. 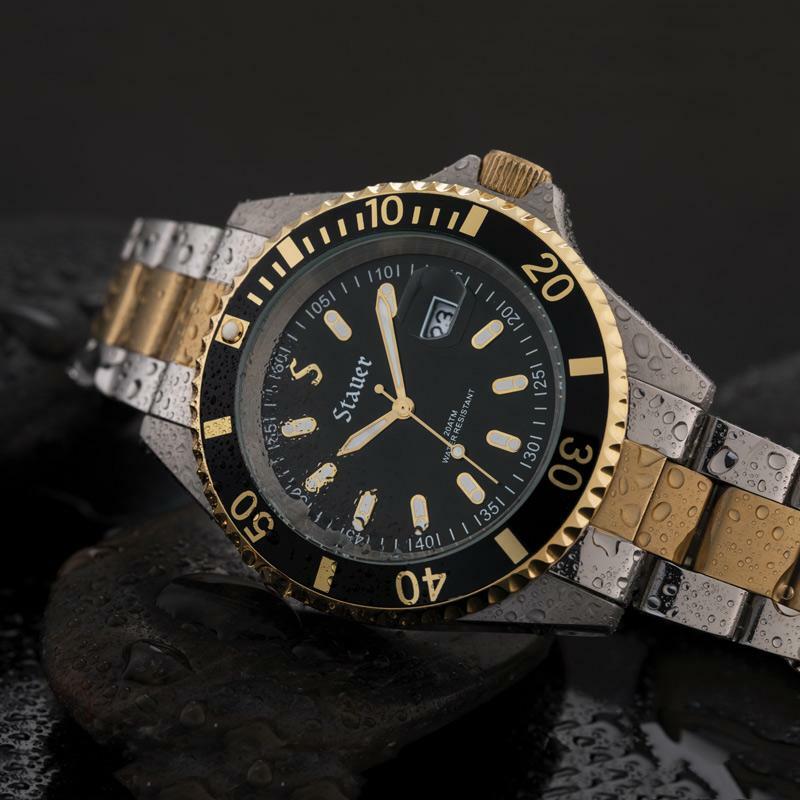 So while the powers-that-be struggle to break the sub-$100 price point for dive watches, we’re able to go deeper and proudly place the Adventurer Dive Watch directly on to your wrist. Fits wrists up to 8 ½"